Hello! So this is a rather special (& more unusual!) 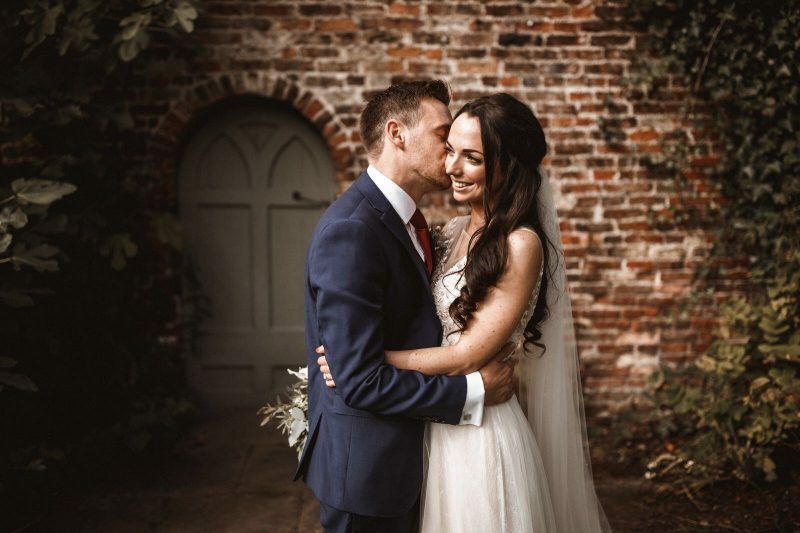 blog post from me as 2 months we celebrated our first wedding anniversary; Oliver and I met back in 2008 and after getting engaged in New York in 2016, we decided to get married on the 16th of September 2017 at Saltmarshe Hall in East Yorkshire. 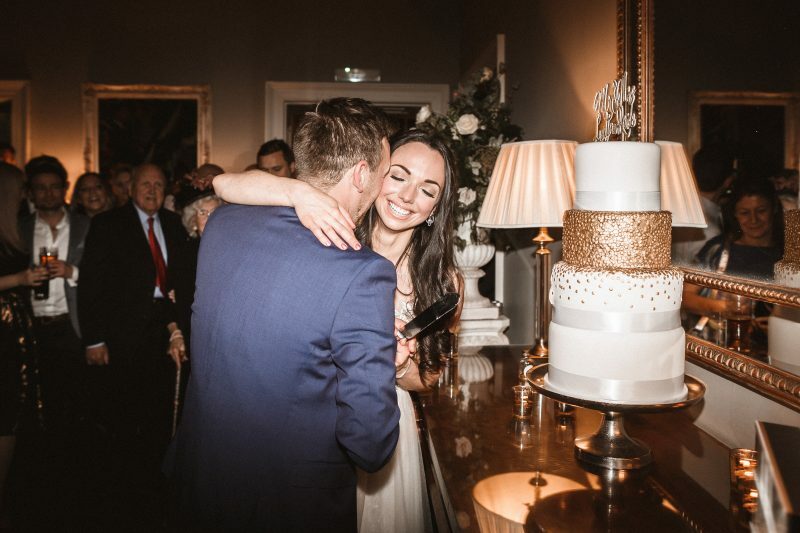 So if you’re after some wedding planning tips or just love reading about weddings, read on for my top 10! I don’t use spreadsheets day to day however my friend who got married 3 years before me recommended that I used one (I actually used hers!) to keep a track of finances. 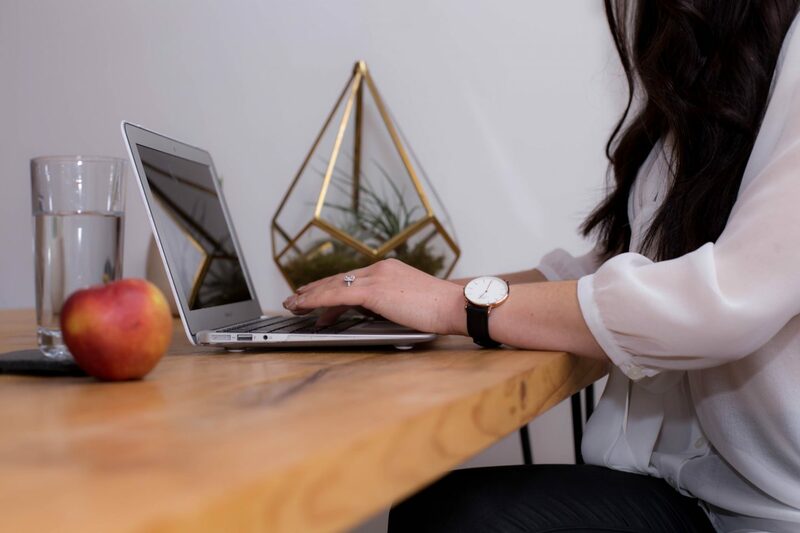 I found this spreadsheet to be invaluable in the end; I could access the copy on my phone as well as from my laptop and every time I booked something or paid for something it was noted down; I then knew exactly what I had spent and what I owed. Top Tip: Set an approximate budget in your mind and compromise if needed; for example we splashed out on a few things that we hadn’t planned but then used a friend’s Porsche instead of hiring a wedding car and we had a home-made photo booth instead of hiring one (I spent this money on an iced-luge instead!!). I also used eBay for items such as favours and signs. This is one of the first things that you MUST do. In order to work out what exactly we were looking for (so we knew when we saw it!) 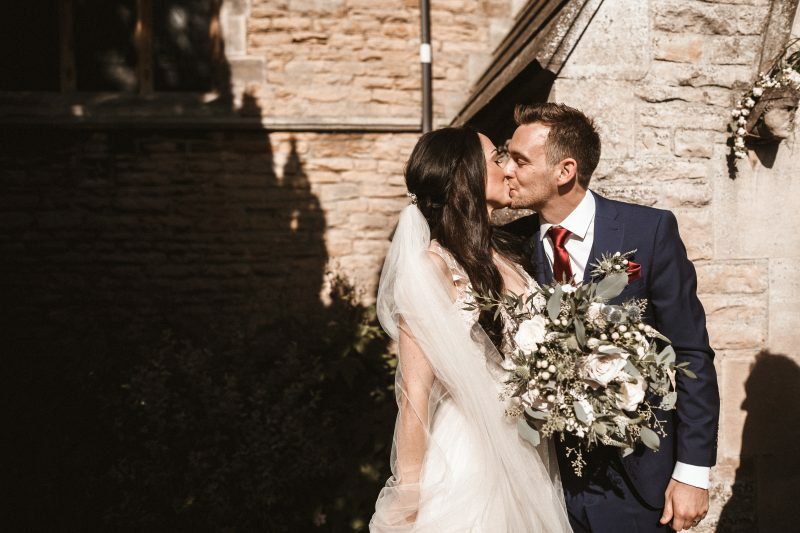 my husband and I discussed the elements that we enjoyed the most from our friends’ weddings; for example we knew that we wanted to stay over in the same venue for two nights and have total exclusivity. We also wanted the venue to be within a 90 minute drive of our house and be close to a local church. We also knew that we wanted to get married on a Saturday in either May or September (as these tend to be dry months!). 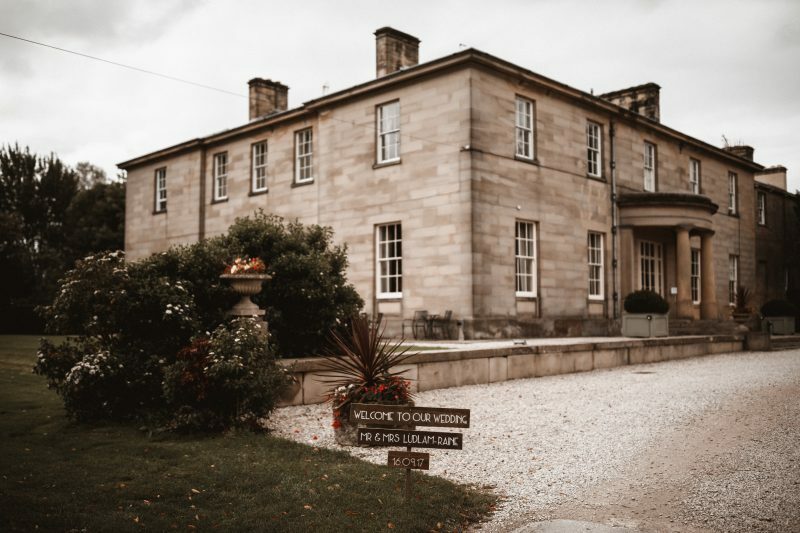 The next thing we had to do was work out who we wanted to be there; as this set our guest list number and the required venue capacity, this along with availability and price are so important! 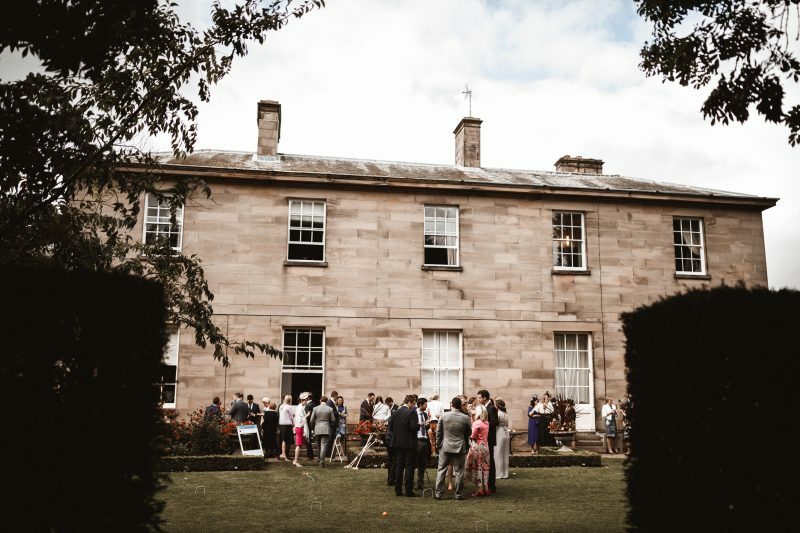 We chose Saltmarshe Hall in the end, in East Yorkshire, and couldn’t have picked a more perfect venue for us; we fell in love with the house and grounds! 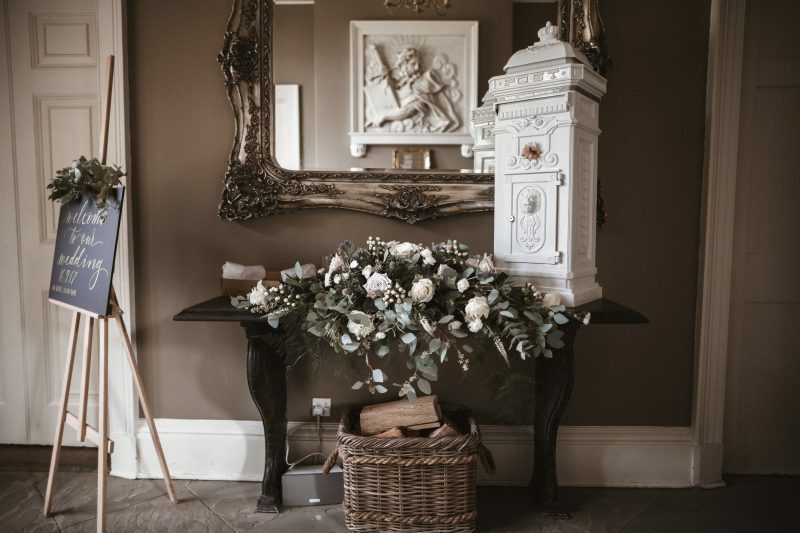 Top Tip: I found this the most stressful part of wedding planning but once we found and booked the venue everything else just fell into place. The venue suggested lots of local companies for flowers etc. and we promptly sent out the save the date cards 1 year before hand. Capturing the day (and the memories!) 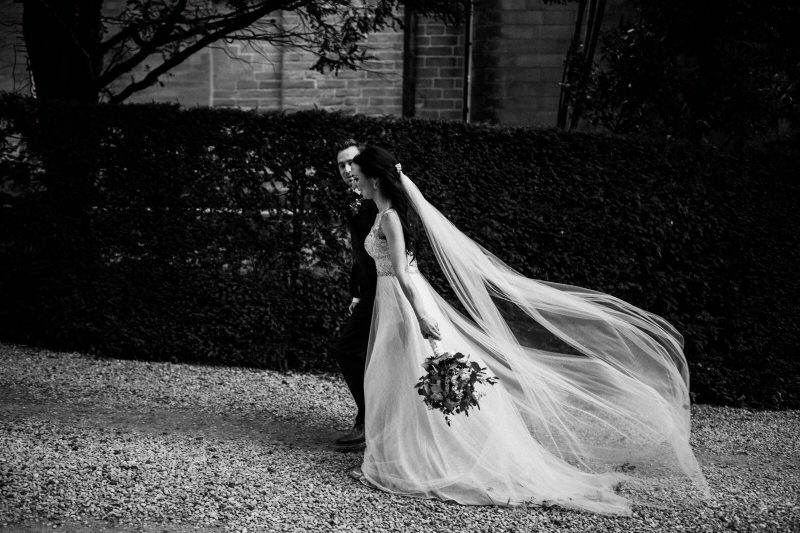 was extremely important to me, and it was my bridesmaid Amy who is also a photographer at Fields Photography London who sent me lists of alternative photographers (those who had a bit of an edge!) to choose from. We spent more than we had planned on the photographer but I knew it would be worth it! I also knew that I wanted to video the day as this is meant to be the ‘number one regret’ from a bride; not having the day filmed. My friend Graeme who has an filming company called GFunkEra (and who was at the wedding himself!) 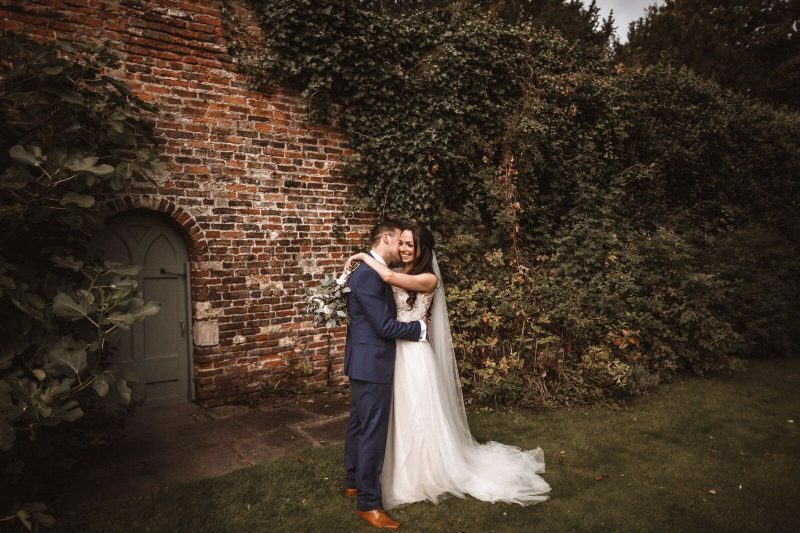 edited our wedding video and he gave us a DVD which included an hour long version of our day, an hour’s worth of the speeches and then a shorter version which I have popped above. I love having a shortened version of the video which I can watch whilst getting ready in a morning (it really does bring back such happy memories!) and the longer video is just wonderful to watch back on a weekend when I want something lovely to watch! Top Tip: Make sure you read contracts before hand. 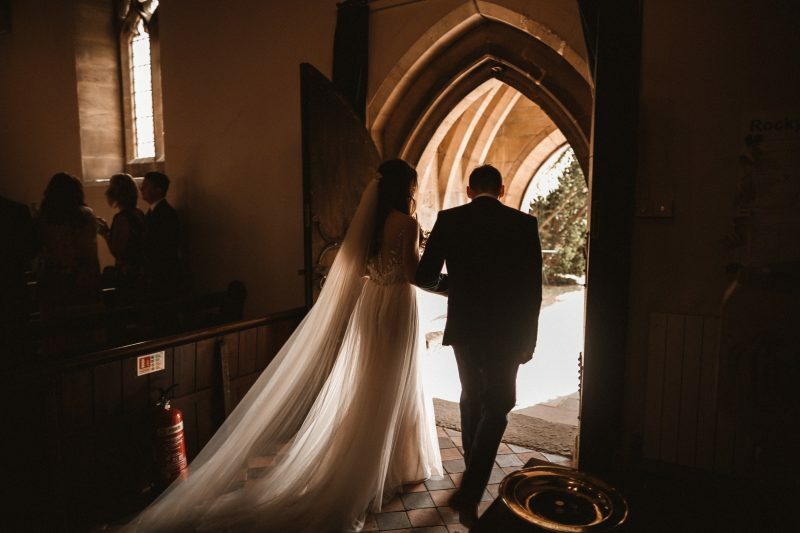 I didn’t realise that our photographer’s outlined that he would shoot for up to 12 hours so when he left after 10 hours (an hour before the first dance) I didn’t feel that I could ask that he stayed. This is one of my biggest regrets from the day. My top tips when it comes to the wedding food are to let it reflect your personality and to try the chef out before hand. 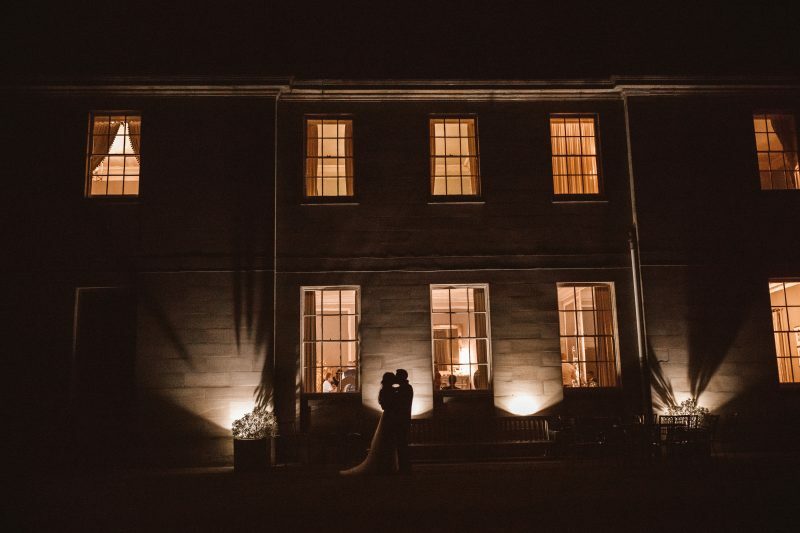 We stayed over at Saltmarshe Hall the Christmas before we got married and enjoyed a delicious three course meal; needless to say the chef surpassed our expectations! Our wedding had a subtle Great Gatsby/New York theme and our food reflected this; we had a Waldorf Salad to start, a Burger & Sweet Potato Fries (& salad!) for main and an American Cheesecake for dessert. We also named the tables after places that we visited when we went to New York in the previous year; we actually got engaged in Central Park on my 30th birthday and the top table was of course called Central Park! 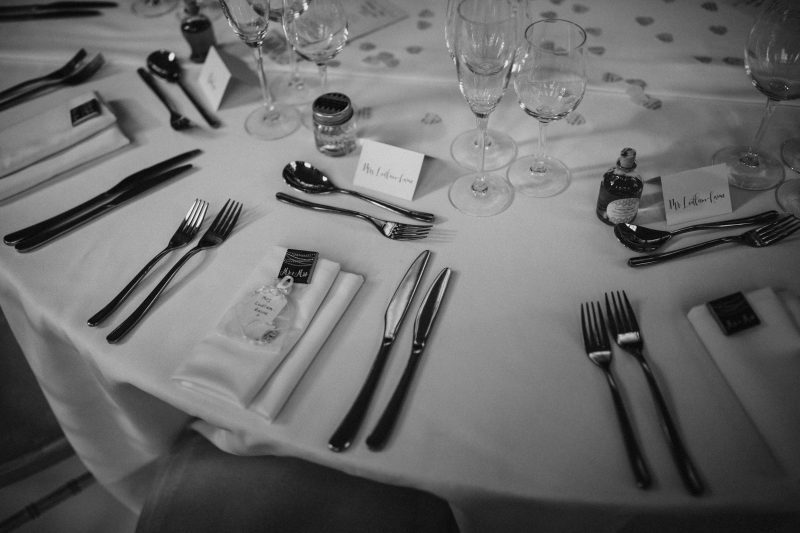 One of our main wedding priorities was making sure that our guests were well fed and watered throughout! 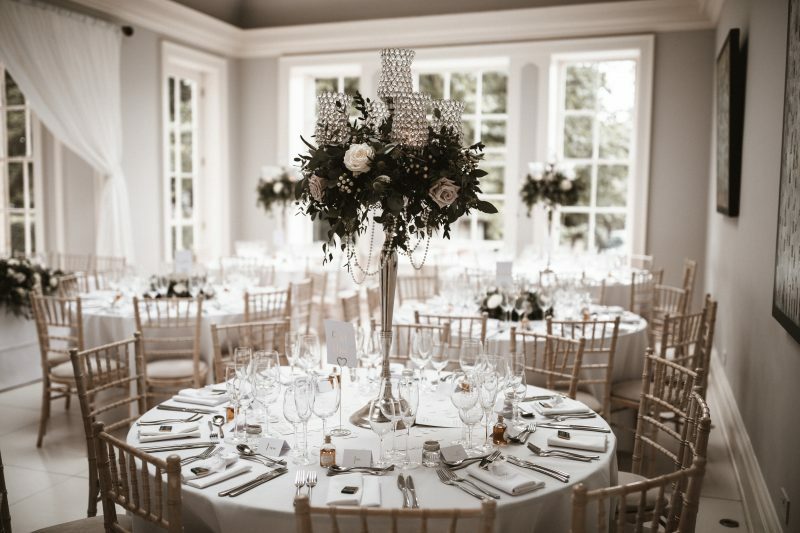 Top Tip: Make sure to order enough canapés (to be served between the ceremony and wedding breakfast; the meal after you get married) and try out the chef’s cooking before hand! I had several Pinterest boards for our wedding; at first (and prior to getting engaged!!) I had a generic ‘wedding board’ but I then divided this up into hair, dresses, makeup, flowers and of course, wedding cakes! My friend who makes cakes copied a design that I loved and I bought the personalised topping for it separately. The bottom tier of our cake was fruit cake (to make sure it was sturdy! ), the middle tier was chocolate and the top tier was carrot (and it tasted so good!). Top Tip: The base of our cake was actually polystyrene covered in icing; this gave the feeling of height without needing to bake any more! We also provided small cake boxes for our guests to take a piece cake home with them at the end of the evening. Music (and creating an atmosphere!) 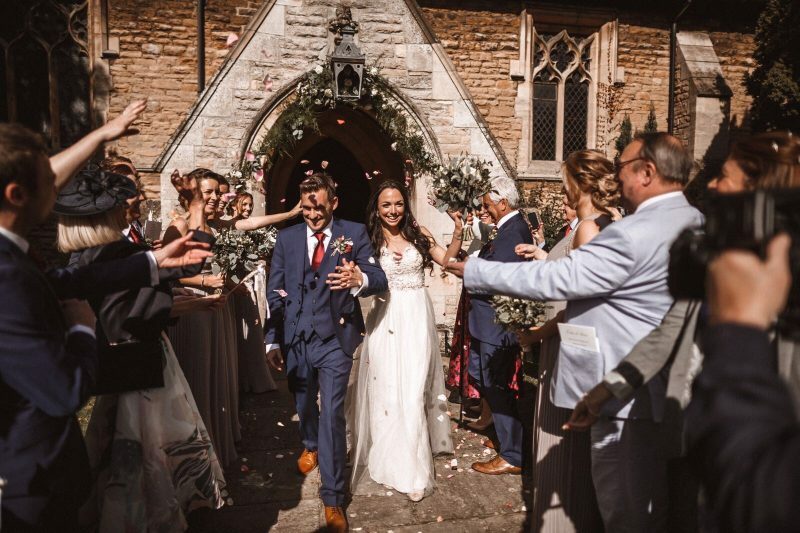 was extremely important to my husband and I because of this we decided to hire a string quartet for the ceremony and reception, in addition to a wedding band (Marc & Abi band were AMAZING; they made the evening and I had so many comments about how incredible they were!!) followed by a DJ to take us with funky lights until midnight. The dance floor was packed all night, and it’s where I spent 90% of my time after the first dance! 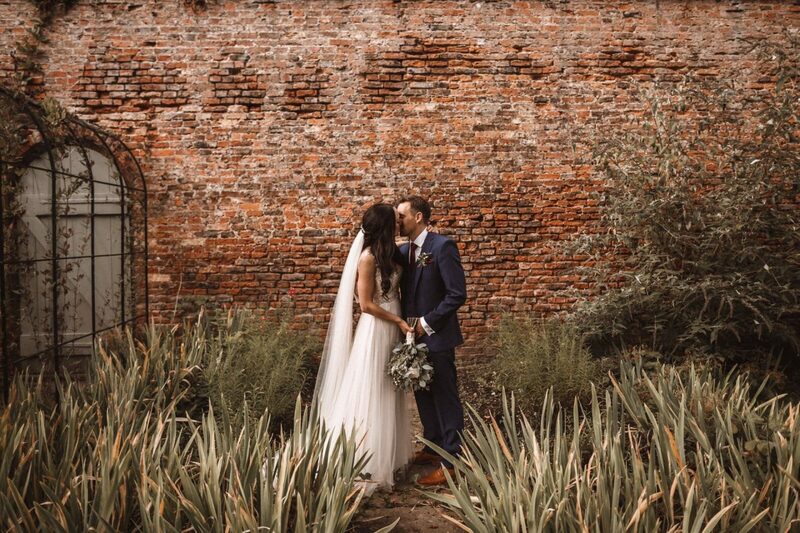 Top Tip: Go to hear your band play before the big day; we actually booked another band but after seeing and hearing Marc & Abi we promptly swapped; best decision ever! If you have a colour scheme then now is the time to use it. 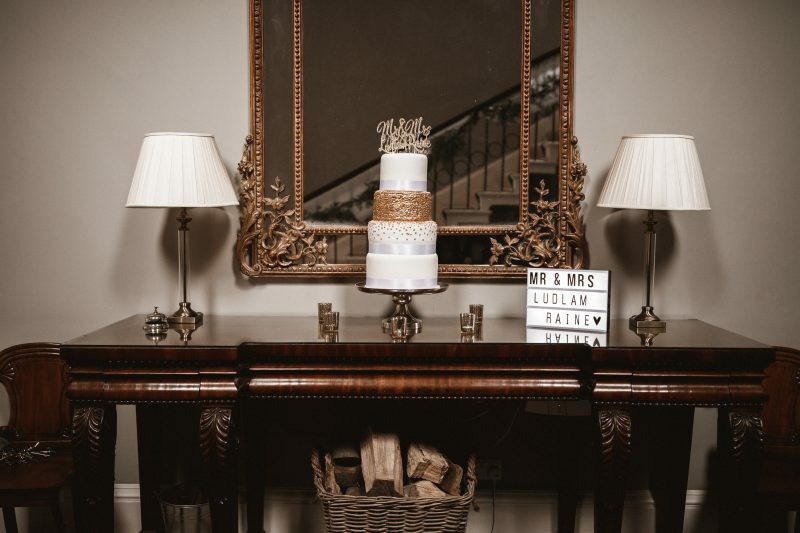 We didn’t really have a colour scheme per se but did know that we wanted neutral colours and hints of gold (to reflect the Great Gatsby theme!). Our wonderful florist (All Occasions) were amazing; they took my Pinterest Flower board and brought it to life. They even moved the flowers from the Church to the venue and the flowers that you can see below were moved from the entrance to the top table; genius! We hired a giant postbox (as pictured below) for cards as well as the giant candle holders that we used on 4 out of the 7 tables. We decided against chair covers as we didn’t want the room to look too cluttered. Top Tip: Choose a florist that is close to your wedding venue; made up flowers may not travel too well over long distances! I’ll start by saying that I had a Pinterest Board for ‘wedding dress ideas’ and then it all went out of the window when I actually started trying them on. I only visited 4 wedding dress shops; 2 on the Friday with my family and 2 on the Saturday with my bridesmaids. In the first shop I tried on anything and everything and quickly realised that I didn’t suit figure hugging dresses; I’m fairly small and I just couldn’t pull it off! 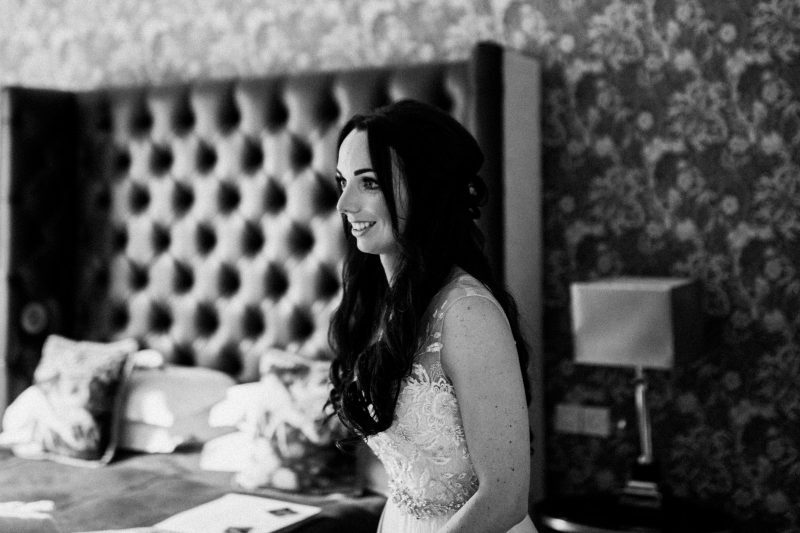 The dress I chose was actually the last dress that I tried on in The Bridal Boutique and is was from Maggie Sottero; a designer who I simply love! We added a veil that I wore during the day and I bought my shoes from Shoeaholics. The bridesmaids dresses were from Asos. 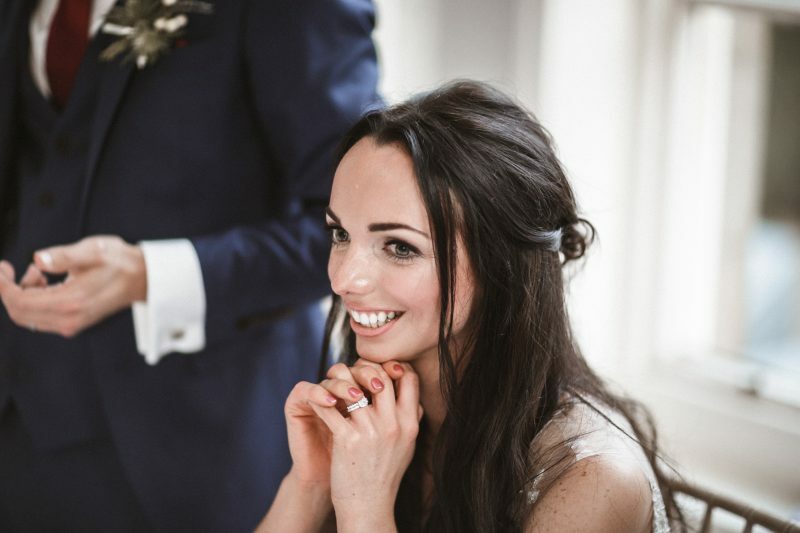 Top Tip: When you go to try on wedding dresses try to do your hair and makeup in a style that you may have on the big day itself; I had a spray tan and spent longer than usual in the morning doing my makeup and curling my hair! This helped to create the illusion that I was ready to get married! 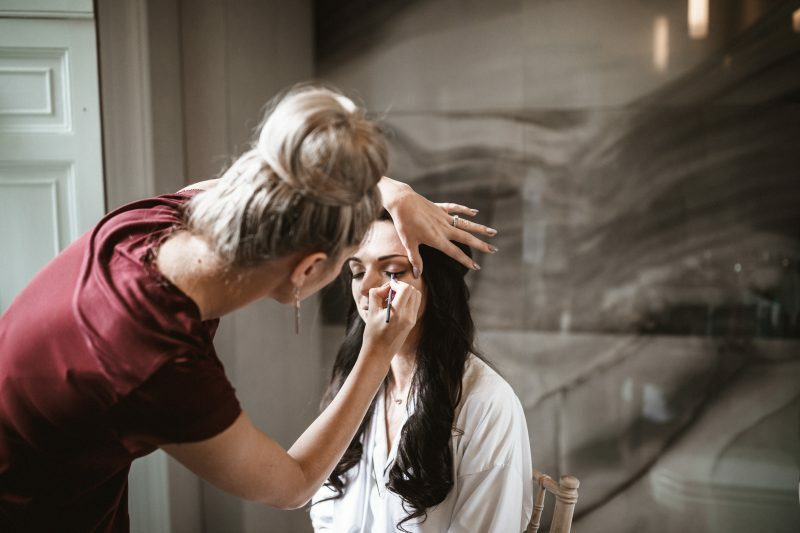 I’ve always known that I wanted my hair and makeup done by someone else on my wedding day; I just didn’t want the stress of things going on and I wanted it to last all day (which it did!). Kate Hamilton did an amazing job on my makeup (and the bridesmaids’ too!) 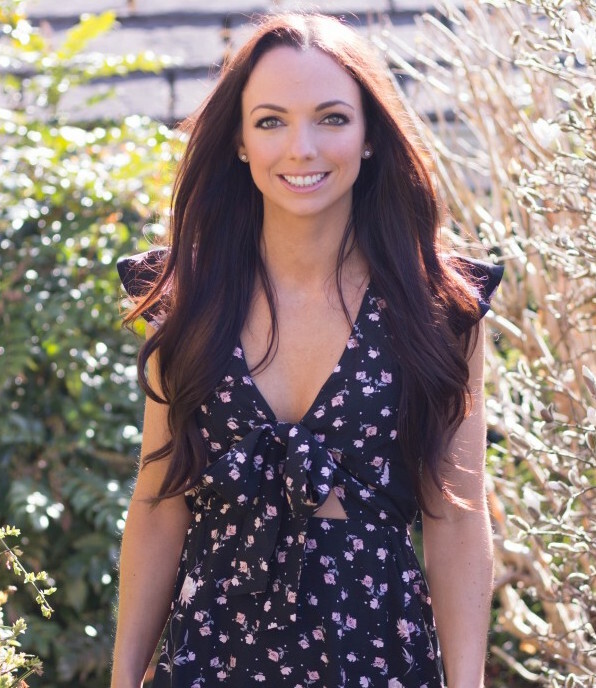 and Toni from Artisan Hair worked magic on my hair (I actually wore hair extensions for thickness and to make sure that my curls held all day!). 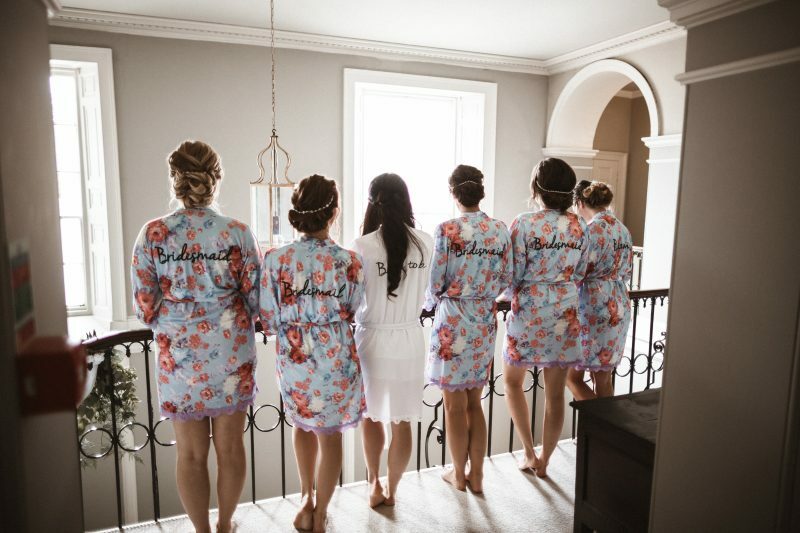 The bridesmaids had their hair curled and pinned up; they looked stunning! Top Tip: Try out lots of makeup artists until you are 100% happy; they are not all the same! And make sure to go for a hair trial; once you’re happy with it take lots of pictures to remind the hairdresser of what you liked! 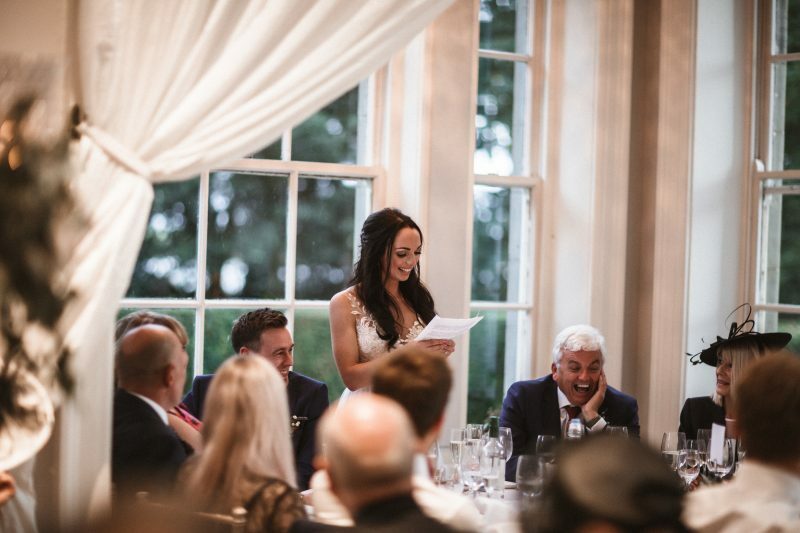 My own speech – Writing my speech was one of the best parts of wedding planning; for me it tied everything together and it gave me the opportunity to say some heart felt thank you’s. I spoke after my husband and before the best-men. Favours – We gave everyone a personalised chocolate with our name and the date, as well as a shot of vodka to use in the vodka luge (we also had Sambuca for the luge too!) or little bottle of whiskey (for the men!). 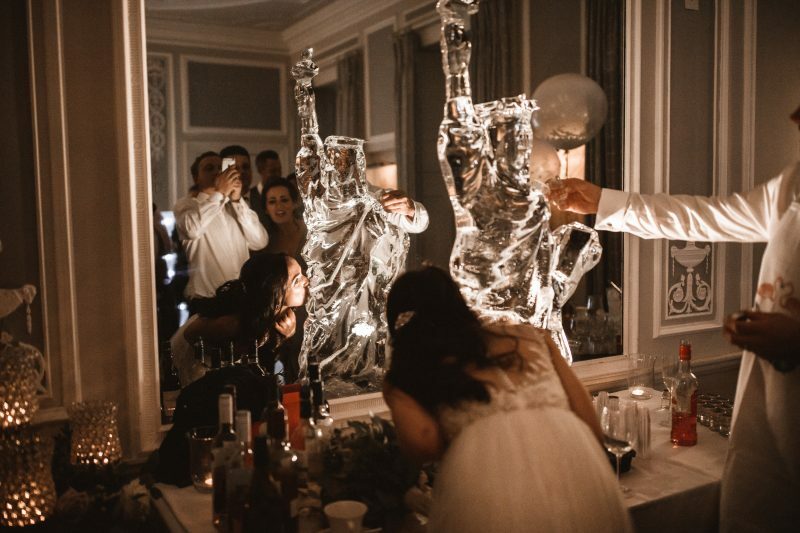 Iced Vodka Luge – We had seen this at a party and loved the idea so much that we had to have it at the evening do of our wedding; ours was in the shape of the Statue of Liberty! 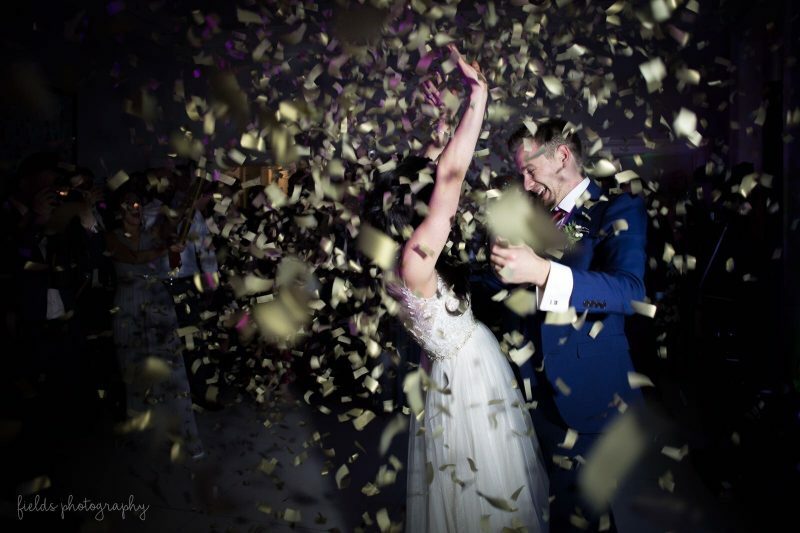 Confetti Cannons – My wonderful bridesmaids set off gold confetti cannons off at the end of the first dance and it was such a wonderful feeling! Stationary – We used Vista Print for our save the date cards and wedding invitations and went with a black and gold theme; they were inexpensive and looked great. We also had a free wedding website for more information; we used Getting Married but didn’t use their gift-list service. Flip Flops – This was one of the most talked about ‘extras’ at my wedding; we had a basket of white flip flops in organza bags in the hallway between the bar and the dance floor and they were SO popular! I even slipped them on once my feet started to ache! Umbrellas – Just in case the weather turned I bought a selection of white umbrellas; we didn’t end up using them but at least I have a stash now to use!! 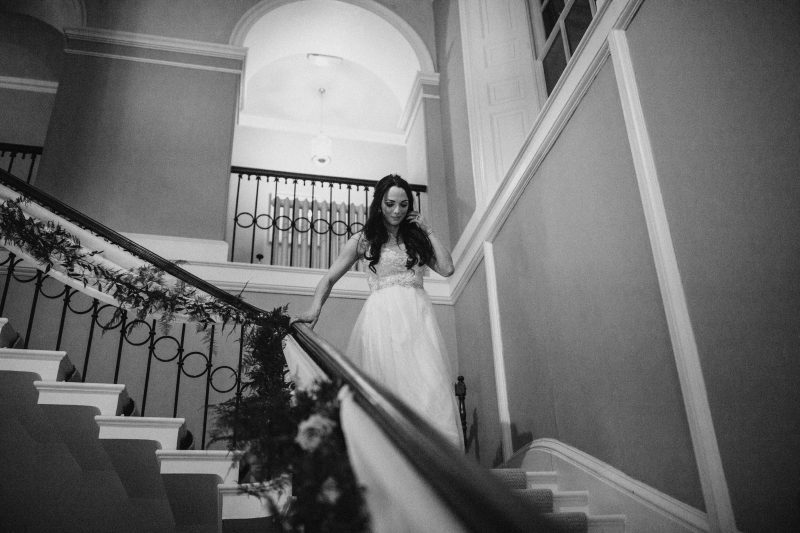 I really hope this blog post helps you to plan your wedding! 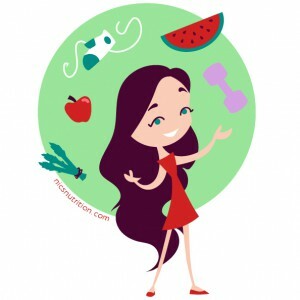 I would love to know if you have any more tips? P.S We went to sunny California for our honeymoon the Monday after our wedding – you can read all about it & see the video I made [here]! 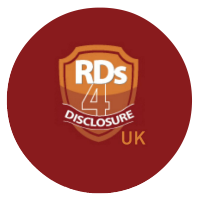 *This blog post contains affiliate links, please read my disclaimer page for more information.